In his foreword to Codename: Żegota, historian Norman Davies says that Tomaszewski and Werbowski “were early pioneers of the subject in English.” The new American edition by Praeger brings the magnificent story of Żegota to a much wider audience. Code Name: Żegota: Rescuing Jews in Occupied Poland, 1942-1945: The Most Dangerous Conspiracy in Wartime Europe tells the story of the only secret organization in occupied Europe set up for the sole purpose of saving Jews. The first book on the subject in English, it details the danger and complexity behind Żegota rescue attempts, clarifying the relationship of the Germans, who had total control; the Poles, who were relegated to sub-human status and treated as slave labor; and the Jews, designated nonhuman and collectively condemned to death. Illuminating the moral dilemmas that arose as one life was pitted against another under the lawless apartheid conditions created by the Nazis, Code Name: Żegota explores the critical situation in occupied Poland and the personalities that responded to desperate conditions with a mix of courage and creativity. It profiles the key players and the network behind them and describes the sophisticated organization and its mode of operation. The cast of characters ranges from members of prewar Poland’s cultural and political elite to Girl Guides and Boy Scouts, who worked as couriers. As this inspiring book shows, all of these brave souls risked torture, concentration camps, and death – and many paid the price. Our thanks to Professor Anna Cienciala who introduced us to a Canadian writer who has published two novels for young adults, Warsaw Spring and A Drop of Rain, and is just finishing another, this one with Solidarity as a background. Heather Kirk is best known for her biography of Canadian author Mazo de la Roche, whose Jalna novels sold millions of copies worldwide, and inspired a film and a long-running stage play that opened in London, and went on to Broadway. More recently, Kirk adapted, Wacousta, Canada’s first novel authored by John Richardson and published in 1832. This 19th century historical novel deals with nothing less than Canada’s most contentious issue: the French-English conflict; yet it faded into obscurity largely, in Kirk’s view, because of its dense 19th century prose. Kirk believed interest could be revived if it were more accessible to the modern reader, and so it was. Kirk’s adaptation has been widely praised by both in academic and popular critics. So, why a sudden interest in Polish subjects? For one thing, it was not so sudden. Kirk spent two years in Poland in 1977-79 and became fascinated by the country. The impulse to write on Polish subjects was further stimulated by friendships with Polish people. Still, 20 years went by between her first exposure to Poland and writing books with Polish themes. Kirk, a member of the Canadian Society of Children’s Authors, has won great praise for her books for teenagers and young adults. 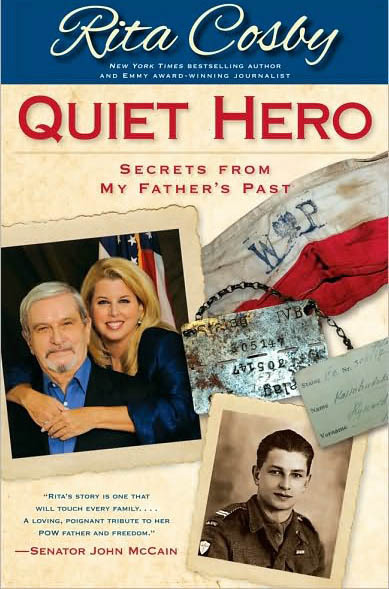 Rita Cosby’s new book, Quiet Hero: Secrets from my Father’s Past, has just been released in May 2010, and there is already a signed contract for a Polish translation. Cosby, a three-time Emmy Award winning television news anchor, correspondent, host, and best-selling author, tells the dramatic story of Polish World War II history through the personal story of her father. Not least dramatic is the fact that until recently, Cosby herself knew nothing of her father’s wartime experiences. Born Richard Kossobudzki, as a teenager he joined the Polish underground, fought in the Warsaw Uprising, and was taken to a German POW camp. After the war, he immigrated to the United States where he changed his name to Cosby, a common practice among many immigrants of that time.